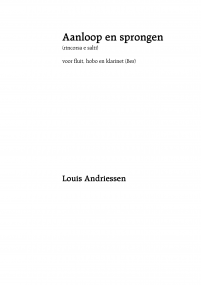 Louis Andriessen was born in Utrecht on June 6, 1939. After an early training in composition with his father, composer Hendrik Andriessen, he continued his studies with Kees van Baaren at the Royal Conservatory of The Hague. 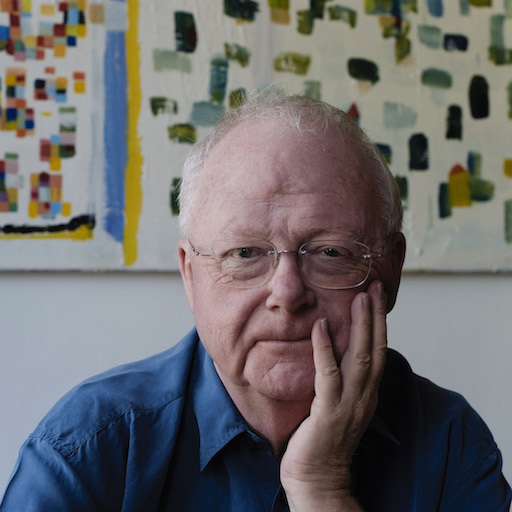 Receiving the major composition prize upon his graduation, Andriessen subsequently studied two years with Luciano Berio in Milan (1962-63) and Berlin (1964-65). Returning to Holland he established himself as a leading musical figure through his compositions and as a performer of his own and others' work. Since 1978 he has held a teaching appointment in composition at the Royal Conservatory. He also taught at the Californian Institute of Arts (Los Angeles), Princeton University and the Katholieke Universiteit Nijmegen. In 1987 he lectured on musical theory and composition in USA at Yale University. In 1991 began his first collaboration with Peter Greenaway in video film, M is for Man, Music, Mozart, commissioned by BBC TV for the composer's bicentenary. In 1994 he was the artistic director of the Meltdown Festival at South Bank Centre in London. In 2004 he was appointed professor at the Art Faculty of the University of Leiden. His archives are filed by the Paul Sacher Stiftung (Switzerland) in 2007. 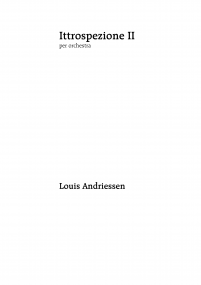 The best known compositions from Andriessen's earlier period are: Series for 2 pianos (1964), Nocturnen for soprano and chamber orchestra (1959), Ittrospezione II for orchestra (1963), Registers for piano (1963), Souvenirs d'enfance for piano (1966), Anachronie I for orchestra (1967), Anachronie II for oboe and chamber orchestra (1969), Contra tempus for 22 musicians (1968), Spektakel for ensemble with jazz musicians (1970). 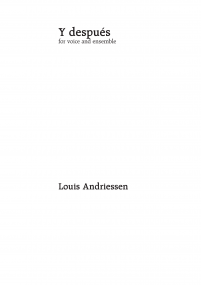 He was co author of the opera Reconstructie (1969). During the 1970's he wrote a number of political works that include Volkslied (National Hymn: 1971) and Workers' Union (1975). With the composition, in 1972, of De Volharding (Perseverance), he founded and launched a wind ensemble by that name for which he wrote a second piece, On Jimmy Yancey (1972). 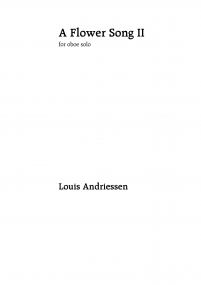 In 1977, Hoketus similarly resulted in a like named permanent ensemble to which Andriessen was himself attached as a pianist. 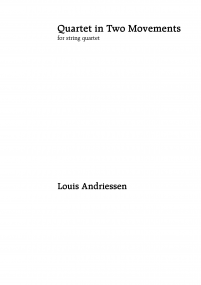 In the period 1973-1976 Louis Andriessen wrote De Staat (The Republic), a work for large ensemble. Other compositions for large ensemble were to follow: Mausoleum (1979), De Tijd (Time: 1981) and De Snelheid (Velocity: 1983). He has also composed electronic works and music for film: among his works for theatre are Mattheus Passie (Matthew's Passion: 1976), Orpheus (1977), George Sand (1980) and Doctor Nero (1984). One of the large scale works is De Stijl, written for a combination of the ensembles De Volharding and Hoketus premiered in the 1985 Holland Festival. De Stijl is also the third part of a four movement opera called De Materie (Matter), produced by De Nederlandse Opera as a main event in the 1989 Holland Festival. In 1994 his opera Rosa (in cooperation with Peter Greenaway) was premiered in Amsterdam and in 1999 Writing to Vermeer (also with Peter Greenaway) had its first performance. 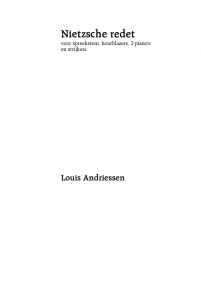 Andriessen completed in 2007 the film opera La Commedia on words by Dante, and premiered in June 2008 during the Holland Festival. 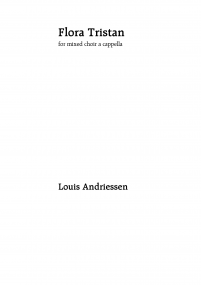 The second part Racconto dall'Inferno was already premiered in October 2004 by Ensemble MusikFabrik in Cologne, and in November 2007 LA Master Chorale with soloists from the LA Philharmonic performed part one, De Stad van Dis, of: Het Narrenschip. 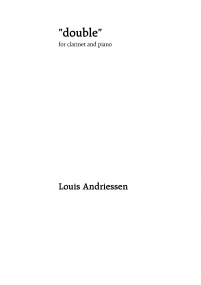 Besides his direct musical and related activities he is also, together with music critic and musicologist Elmer Schönberger, co author of the book on Igor Stravinsky, The Apollonian Clockwork (published by Oxford University Press 1989). 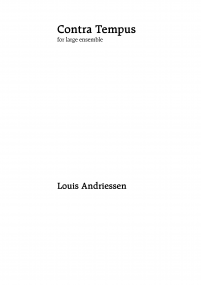 A collection of his articles, lectures and interviews entitled The art of stealing time and edited by Mirjam Zegers, is published by Arc Publications (2002). For his major work De Staat (The Republic: 1976) he received the prestigious Matthijs Vermeulen Prize in 1977, as well as the first prize of the Rostrum of Composers. 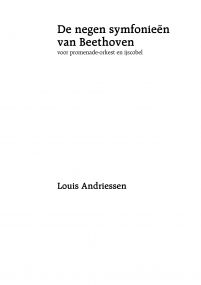 For the works composed in 1991: M is for man, Facing death (written for the Kronos String Quartet), Dances (for soprano and chamber orchestra), Hout (for ensemble) and Lacrimosa (for two bassoons) he again received the Matthijs Vermeulen Prize in 1992. In 1993 he was awarded the 3M-prize. In 2001 he was awarded by the World Music Contest Kerkrade for his contributions to wind music. On January 28, 2008 he received the Johan Wagenaar Prijs. On the occasion of his 70th birthday he was awarded the silver medal of the city of Amsterdam.